Pop artist Roy Lichtenstein's 1964 painting "Happy Tears" vaulted into prominence in Korea in 2007 after featured in a slush fund scandal. The head of an upscale art gallery in southern Seoul has been arrested over suspicions that she was involved in selling off expensive artwork that had been ordered to be seized by a court. According to the prosecution, Hong Song-won of Gallery Seomi allegedly sold about 10 pieces from December last year to March at the behest of Lee Hae-kyung, the 62-year-old daughter of Tongyang Group founder, Lee Yang-gu, and wife of group Chairman Hyun Jae-hyun. Lee was put behind bars Tuesday after the Seoul Central District Prosecutor's Office were issued an arrest warrant for her. The dubious deals occurred before a court confiscated 330 works owned by Hyun and Lee in April as part of a ruling on charges of embezzlement and tax evasion. Prosecutors say Lee asked Hong to dispose of her property to evade the court ruling. Hong has been accused of pocketing 1.5 billion won ($1.45 million) that was supposed to be given to Lee. Prosecutors are investigating whether there are more valuables that Hong sold and where she hid any proceeds. According to prosecutors, the list of artwork Hong allegedly sold included the works of video artist Paik Nam-june, painter Chung Sang-hwa and American sculptor Claes Oldenburg. The buyers are currently unknown. Prosecutors found an evidence trail to Hong in June when they raided a storage unit belonging to Lee, which contained dozens of paintings and sculptures. 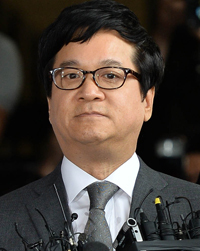 Hyun is currently on trial after being indicted in January on charges of orchestrating the issuance of fraudulent corporate bonds and commercial paper. He is also accused of embezzling company money to amass secret funds. Hong is known to have been the secret hand behind conglomerate owners' slush funds. She has been suspected of assisting them by inflating the costs of artwork and forging transaction papers on numerous occasions. Korean chaebol owners often collect artwork using slush funds as the value of the pieces changes frequently, and it is easy to avoid tax. Her name first came to the fore in 2008 when an independent counsel investigated the allegation that Hong Ra-hee, director of Leeum, Samsung Museum of Art, purchased Roy Lichtenstein's 1967 painting "Happy Tears" and other pieces through Seomi using part of a slush fund raised by Samsung. The gallery head disclosed the painting, claiming she had bought it and it was kept at her storage facility. Three years later, Hong returned to the spotlight after she filed a 5 billion won lawsuit against Hong Ra-hee. 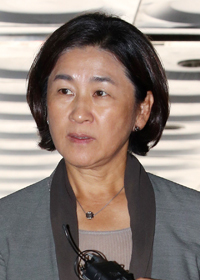 The Seomi director accused Hong Ra-hee and the Samsung Foundation of Culture of paying just 25 billion won of an outstanding bill of 78.1 billion won for 14 works of art purchased between August 2009 and February 2010. But she later dropped the case, saying "the misunderstanding was straightened out." In October 2011, Hong Song-won was given a suspended two-and-half-year jail term for helping Orion Group Chairman Tam Cheol-gon hide illegal funds through purchasing artwork and laundering money via trading certain pieces. 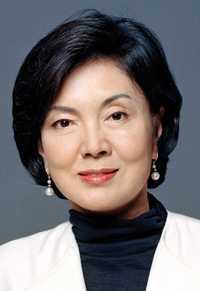 She later was also involved in similar cases with former National Tax Service Commissioner Han Sang-ryul and Namyang Chairman Hong Won-sik, which involved the late artist Choi Wook-kyung's "Hakdong Village." 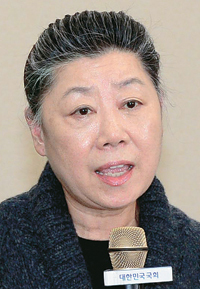 Most recently, she was investigated over suspicions of assisting the CJ Chairman Lee Jae-hyun by inflating the cost or forging papers in the purchase of artwork. Lee and his family allegedly purchased a total of 138 famous paintings worth 142.2 billion won through Gallery Seomi between 2001 and 2008. 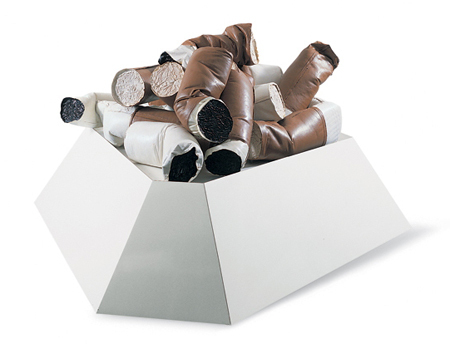 Among the items are high-value pieces by leading contemporary artists such as Andy Warhol and Jeff Koons.